Must display before authentication is prompted. In the case with Secure Shell (SSH) Command Line Interface (CLI) consoles, providing the banner prior to entering a password is acceptable. This brings us to Windows IIS (pick your version). As a vanilla web server, there’s no native functionality to add a banner with a module or plugin. There are numerous web applications that are DoD-specific – meaning they are built for DoD use only. So having a login banner is required, but Windows IIS server does not do this natively. 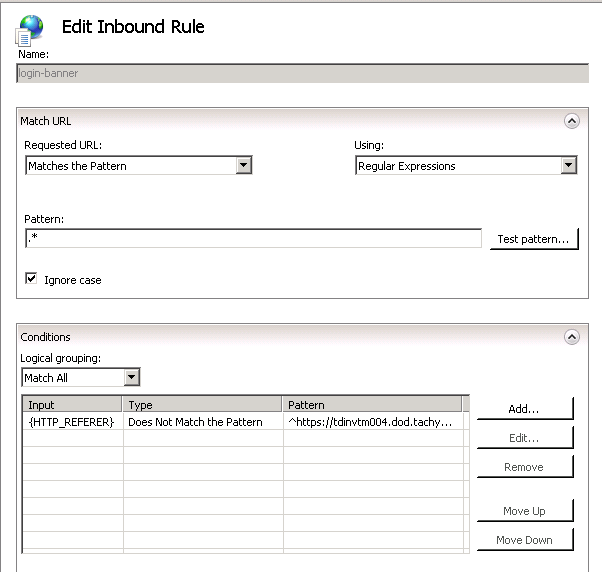 Require a re-write module for the web site to only accept connections from the referrer of that login banner. This is to prevent the user from just bookmarking the site URL to bypass the notice and consent. -Communications using, or data stored on, this IS are not private, are subject to routine monitoring, interception and search, and may be disclosed or used for any USG-authorized purpose. Now add this document to the document root of the IIS web server. By default it is usually under the “wwwroot” directory. Once you do this, test the redirection works well before continuing on to the next step. 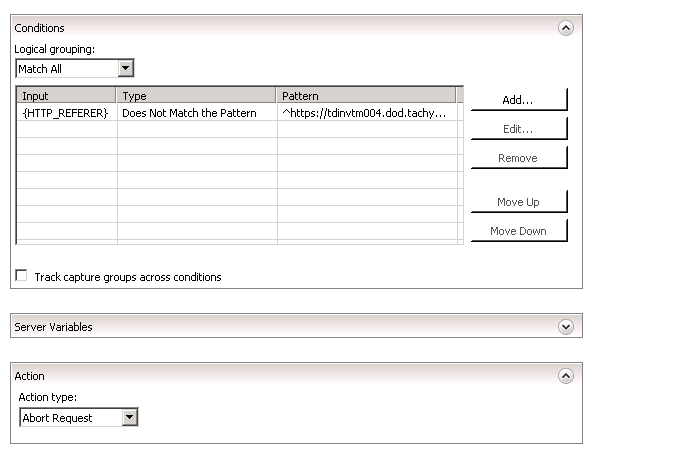 Next, configure the module to require the referring URL coming from the index.html file. Do it that way here. You’ll need to edit the “https://urlsite/.” to be the final landing point of your website. Now test it out by hitting the landing page, clicking accept, and then having it redirect you. Also test it by going to the direct web URL file attempting to bypass the login banner. If you are blocked, then this work successfully. Just keep in mind, that web crawling bots may not correctly crawl your site. If that’s not needed then there may not be an issue.